So, I am not a big television watcher. I can count on one hand the number of shows I have watched regularly in the last five years - and they were usually watched on OnDemand or the network app after they'd aired. American Idol, Parenthood, Dancing with the Stars, Chicago Fire and This Is Us. Sadly those first two are off the air. I haven't watched Dancing with the Stars in a few seasons. That leaves two shows that I currently watch. This Is Us is a big one with a huge following that has already garnered a number of awards in its first two seasons. I really love the show, but it has been a little bit of a turn-off for me that so much emphasis and mystery surrounds the death one of the main characters. I loved Parenthood because it just tapped in so much into everyday life with believable storylines and likable characters. This Is Us has all of that. And that's why I watch it - the character development, the down-to-earth and common topics that are tackled, the exploration of the family unit and relationships within families. If I wanted suspense and mystery and death, I'd watch Walking Dead or something along those lines. But anyway, enough of my rant. The death of Jack Pearson is what the show has come to center around. It's the "Who Shot JR?" of this generation. If you don't know what I'm talking about, Google it. It's from a prime time soap opera of the 1980s called Dallas and when JR Ewing was shot in the season cliffhanger, 350 million people watched and then were left hanging for 8 full months before they found out the answer. I still remember seeing people everywhere with "Who Shot JR?" shirts in 1980 as a young kid. So, there still hasn't been an official reveal of Jack Pearson's death, but after this week's episode, it has viewers assuming that a fire caused his early, untimely death. A fire caused by an old, faulty slow cooker. Everyone has assumed it to be a Crock-Pot brand appliance. The two terms are kind of synonymous. Just like everyone calls a photo copier a Xerox machine. Or a bandage a Band-Aid. So, when Jack tidied up the kitchen and headed up to bed - and then the slow cooker light flickered and sparked and then flames shot out that ignited a towel that crept up a wall and eventually engulfed the entire home - my heart sank. My heart sank for the fictional Pearson family and for the PR team and execs at Crock-Pot who I knew instantly would be dealing with a PR nightmare. Poor Jack Pearson, the show's hero, is about to die a fiery death and the villain in all of it is an inanimate object that was simply warming chili for a Super Bowl celebration. As I suspected, social media channels were instantly inundated with jokes and promises to throw away Crock-Pots and never use them again. Maybe it will just blow over quickly. But maybe it will slow sales of this creation by Irving Naxon that got the Crock-Pot name when sold to Rival Manufacturing in the 1970s. Worse yet, it could sink sales of Crock-Pots and send those customers all toward the wildly popular multi-use Insant Pot as a replacement. And then there's the possibility that all those people that are holding on to Crock-Pots bought decades ago or passed down by an aunt or grandmother will be making their way to the dumpster - even if they are still functioning - just because they are deemed too old to be safe. (Maybe it's been a secret conspiracy between the writers and the Crock-Pot brand all along. LOL). I'd be interested to see what the sales look like for the brand at the end of the year. Will it turn out to be a good thing or a bad thing? Will people swear off Crock-Pots for good or rush out to buy the newest models to replace old ones? I don't know how all the legal stuff works - but I guess my naive and sympathetic mind wishes that perhaps the writers may have consulted with the company in advance so they'd have some sort of warning of the S&*@ storm that would ensue. I went back and watched the scene and it clearly says "Slow Cooker" on the product, but I had to go back and replay several times to catch it. Maybe that was their "out" that made it ok. They weren't using the brand name. And I guess in my always-tying-to-be-safe, mom and wife of a firefighter mode, I wish they'd been more careful about how they portrayed this and maybe allowed it to become educational. They could have collaborated with the International Association of Firefighters or the National Fire Protection Association to do a pubic service announcement about preventing fires. I wonder if they consulted any firefighters as they sat and wrote a scene about how someone would die and a family would be displaced by a fire to see if maybe they were being somewhat realistic. I wish they may have had a disclaimer following the episode that slow cookers are generally safe but that it's important to be careful in using any electrical appliance and that if you suspect something isn't working property to contact the manufacturer. They could have had a clip with a video message from a fire chief at the end of the episode giving a statement about how critical it is to have working smoke detectors. That should really be the big takeaway from the episode rather than villainizing a safe product that is used by millions of families each year. Just FYI, I asked my husband if he's ever been to a fire caused by a Crock-Pot. In his 20-year career, there hasn't been one on his department and he hasn't heard of one elsewhere. I LOVE my slow cookers, all of which have been Crock-Pot brand. I still have one that I received as a wedding shower gift in 1991. When I got a new one for Christmas about 10 years ago, my husband insisted I pitch the old one. I resisted because it came in handy to have two on weekends when I would do a lot of cooking for the week or when I had a get-together and wanted to keep baked beans warm in addition to meatballs. 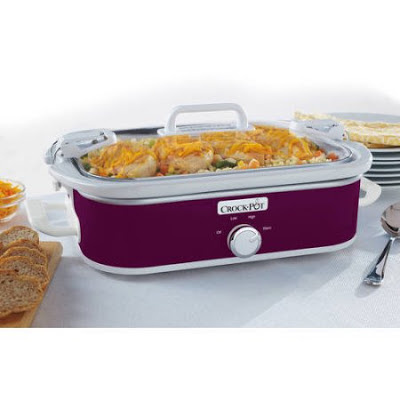 I later got a casserole crock by Crock-Pot that I posted about a couple months ago - not because it was a sponsored post or because it was a free product sample, but simply because it was a product I loved. I hate to see all the not-so-full-of-love posts about this product the past couple days. I feel it's all a little unfair and is changing the public perception of a perfectly safe product. "It is important that our consumers understand and have confidence that all Crock-Pot slow cookers exceed all internal testing protocols and all applicable industry safety standards and regulations as verified by independent third-party testing labs," the statement said. "For nearly 50 years with over 100 million Crock-Pots sold, we have never received any consumer complaints similar to the fictional events portrayed in last night’s episode. In fact, the safety and design of our product renders this type of event nearly impossible. "Our hope is that the team at NBC’s ‘This Is Us’ will help us in spreading factual information regarding our product’s safety. While we know their primary mission is to entertain — something they have continued to excel in — we also feel they have a responsibility to inform." I should probably mention that fire safety is a really important topic to me, which naturally stems from being married to a professional firefighter. 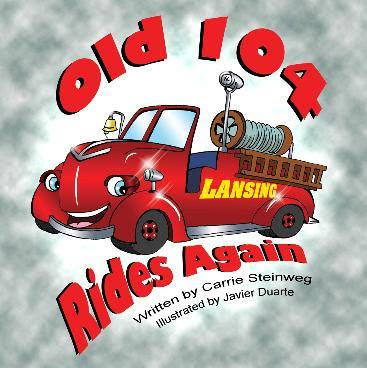 I also am an author and wrote a children's book, Old 104 Rides Again, about an antique fire engine that touches upon fire safety. I visit several schools each year (usually during Fire Prevention Month in October) to read the book to kids in preschool up to about 4th grade. I always take that opportunity to emphasize several things to children, such as never playing with matches, having working smoke detectors on each level of your home, never hiding from a firefighter should they come in to rescue you in a fire, touching a door with the back of your hand before opening it if you are in a fire and having an escape plan and family meeting place outside the house if you have to get out in case of a fire. I also initiated a local project, the "Stay Safe Essay Contest" for kids in K - 5th grade. Kids write essays on staying safe for a chance to win a ride to school on a firetruck. I hope that the kids I encounter in these endeavors walk away with a little more knowledge and confidence in how to keep themselves and their families safe from a fire. Make sure your smoke detectors always have working batteries. It's good practice to check your batteries in the spring and fall at the same time you change your clocks for daylight savings time. Keep towels and other flammable items off stovetops and away from from electric appliances and devices. Keep an eye on your aging small and big appliances for damage.